It's been 16 years since the youth-oriented TV series 'Tabing Ilog was shown on ABS-CBN.Aired for more than four years from late 90's to the early 2000s,'Tabing Ilog' is one of the most unforgettable shows of ABS-CBN. 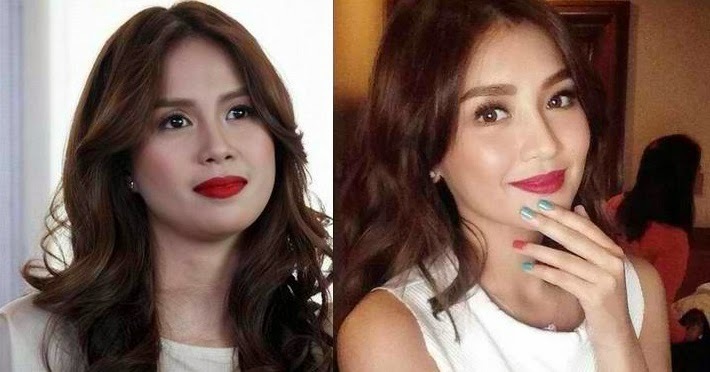 With the success of this popular series,Kaye Abad,who played the role of 'Eds',think only one young star who can reprise her character if there will be a remake of this teen-oriented drama. 'Magagaling na rin ‘yung ma bata ngayon eh, pero siguro bilang Eds I would say Kathryn Bernardo kasi parang ako eh very Filipina, very simple so siguro as Eds si Kathryn.' Kaye admitted in an exclusive interview with Push. The actress chose the teen star's on-screen partner also to portray the role of her love team partner John Lloyd Cruz as 'Rovic'. "Eh nandiyan na si Kathryn, si Daniel na lang." she added. 'Tabig Ilog is a series topbilled by Kaye Abad John Lloyd Cruz, Paula Peralejo,Patrick Garcia, Jodi Sta. Maria, Paolo Contis, Desiree del Valle and Baron Geisler which circulates on the story of their friendship and find their paths in finding new friends. The premise of the series focuses on the friendship of best friends Anne, Eds, Badong, James, Rovic, Fonzy, Corrine and George. However,KathNiel will bring life to the iconic roles of Yna Macaspac and Angelo Beunavista in the modern retelling of the 2000 hit soap opera "Pangako Sa 'Yo" which will premiere in May 25,2015 on ABS-CBN.